We carry the Tournament Series including the Carbon V and the Concept, as well as the Big Daddy from the Escape Series. You can also check our Connelly Products. 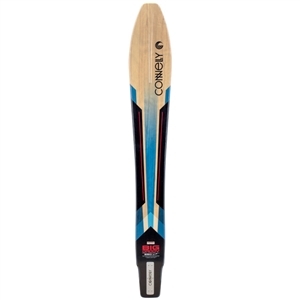 Connelly water skis are on of the most respected brands in the watersports industry. These water skis are ready to go as soon as you take the ski out the box. Whether you are looking for a tournament ski to help you get on that podium or just you are more into the leisure rides around the lake, there is a ski for you. Tournament skis include the Connelly GT and the Carbon V, these skis are ready for 38 off and beyond. The Connelly V, Concept, Prodigy, Aspect, HP, SP and Outlaw are all recreational skis, making for some great family fun time or as a stepping stone to get to the level of skiing you want. Big Daddy and Shortline are also models from Connelly and are meant for a more novice rider. Connelly skis have been in the water since 1965 bringing quality and innovation to the world of waterskiing.